What Impact Does Distracted Driving Have on Cyclists? 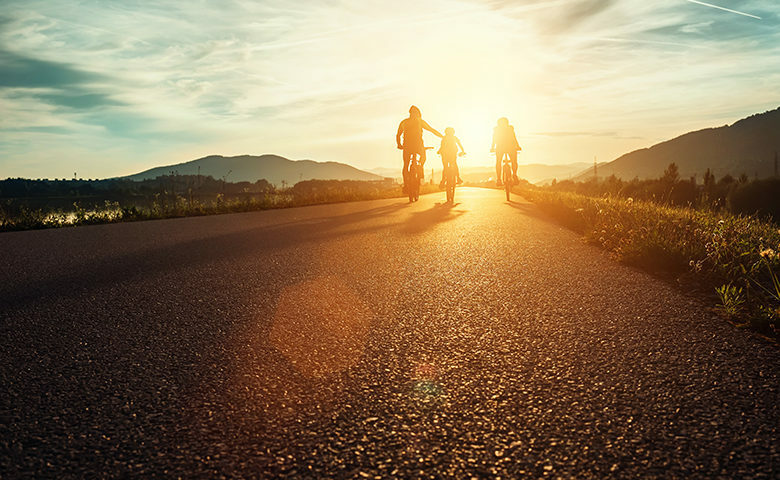 Spring is almost here and as the days get longer and warmer, you’ll see more people emerge from their winter hibernation to start walking, running or riding a bicycle. But with these activities come some unintended misfortune. It seems every spring the newspapers use many versions of the same headline: CYCLIST STRUCK BY CAR. Riding a bike is not a new phenomenon, and with more and more people taking strides to lead a healthier lifestyle, the increase in the number of cyclists on the road will continue. Many cyclists worry about getting back into their routine after the physically inactive winter months—they could be out of shape or forget how to ride well. And while the act of riding a bike comes back naturally (it’s just like riding a bike, after all), the potential of harm largely comes not from the rider’s abilities but from hazards the new season springs on both cyclists and drivers. Just like drivers need to retrain themselves on how to drive in the snow every winter, they also need to be aware of the new perils when they get on the road in the spring—including changes in daylight hours, increased rain and additional people on the roads. All those hazards can affect your employees on their drive to and from work, and can even influence their performance if they drive as part of their job. In cities, when you’re driving, parking or getting out of your car—bikes seem to come out of nowhere! Dooring is an offense that is being taken more seriously than ever before (including the possibility of a conviction, demerit points, fines). Although cyclists may be the most common demographic affected by dooring, it can happen to all road users. Getting in the habit of taking a quick look in all directions before opening the car door can help avoid this scenario. Some cities have made accommodations for cyclists by creating trails and bike lanes on the road, but many haven’t. When these lanes are absent, cyclists are entitled to the same rights as a motorcycle or a car. They can, and will, take up a whole lane when necessary (avoiding hazards on the road may bring them closer to the center of a lane), but a motorist may pass a cyclist providing they are following the rules of the road. April is Distracted Driving Awareness month. The NSC reports that distracted driving claims 100 victims a day. Distracted driving doesn’t only apply to the drivers of vehicles, as there can be distracted bicycle riders too. According to the National Highway Traffic Safety Administration (NHTSA), 3,450 people were killed due to distracted driving in 2016 and 391,000 were injured. The victims in those crashes include 5,286 motorcyclists, 5,987 pedestrians and 840 bicyclists. With the right education, even with an increase of cyclists on the road, a decrease in the number of injuries and fatalities on the road is possible. We have two great new toolbox talks that you can share with your employees, one from the cyclists’ perspective and one from the driver of motor vehicles’ perspective. And check out our entire Driving Awareness Toolkit, as we have some other great free driving awareness resources available all in one handy location. With this free toolbox talk guide, you’ll learn how to engage employees with safety meetings that work.